FIFA World Cup Soccer – GREECE! ICYMI this happened yesterday. What a game! 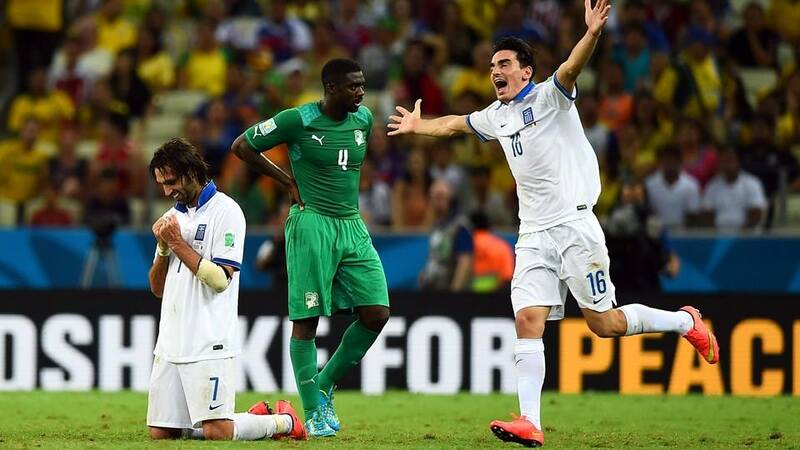 Greece’s historic World Cup Soccer Group C victory over Côte d’Ivoire. Samaris is on his knees after scoring the winning penalty kick. Here are some highlights of the game courtesy of 2014 FIFA World Cup site. Next game Greece plays Costa Rica on June 29th. #GoGreece!